It's been a bit of a frustrating trip planning day today. Unfortunately my laptop didn't want to play ball and my scrapbook paper hasn't arrived yet. Whilst there's plenty I could print off, there is little point until I have somewhere to put everything as I prefer to file as I go. Even the thought of a big stack of reservations and maps to file gives me the shivers! I've consoled myself by printing stacks of journalling cards. I need to take some pictures of them and give you guys the links so you can enjoy them too! 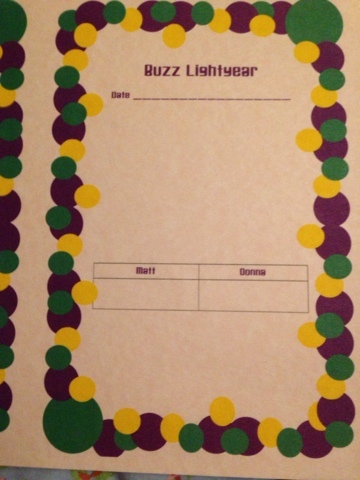 I've also made myself a little scorecard for when we go on Buzz Lightyear, it's our favourite ride and we get super competitive on there! The scorecard has space for a picture so is simple but I think effective. 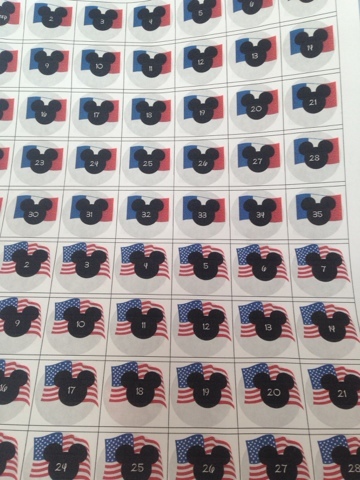 I also made myself some countdown stickers using a free Mickey silhouette and the nation's flag for each park we're going to. 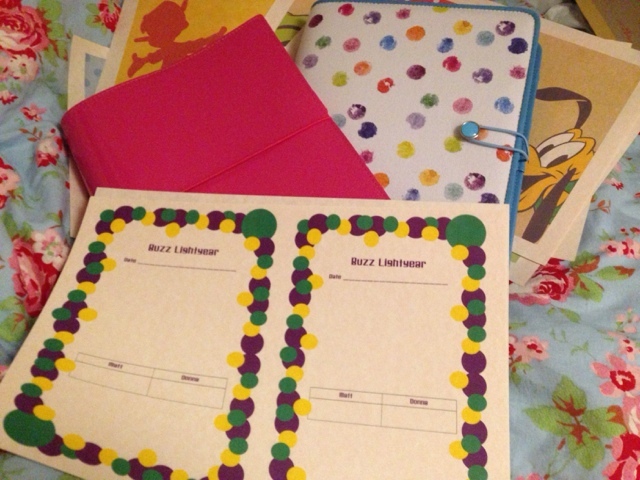 Having out these in my weekly planner, I'm even more excited than ever!